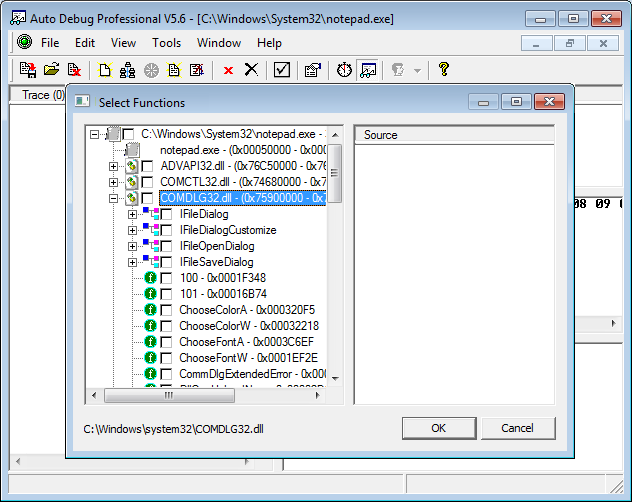 In it, you can specify which program to run (either enter the full path or click on the Browse button to locate it), optionally enter the command-line arguments the program requires, and specify its current working directory, if you expect the program to make any assumptions about what its working directory is. The process will start, and Auto Debug will list all exported functions in the target program and in the libraries it calls. If the process is linked to ActiveX modules, all exported ActiveX interfaces will also be listed.